Which removes eye makeup better? 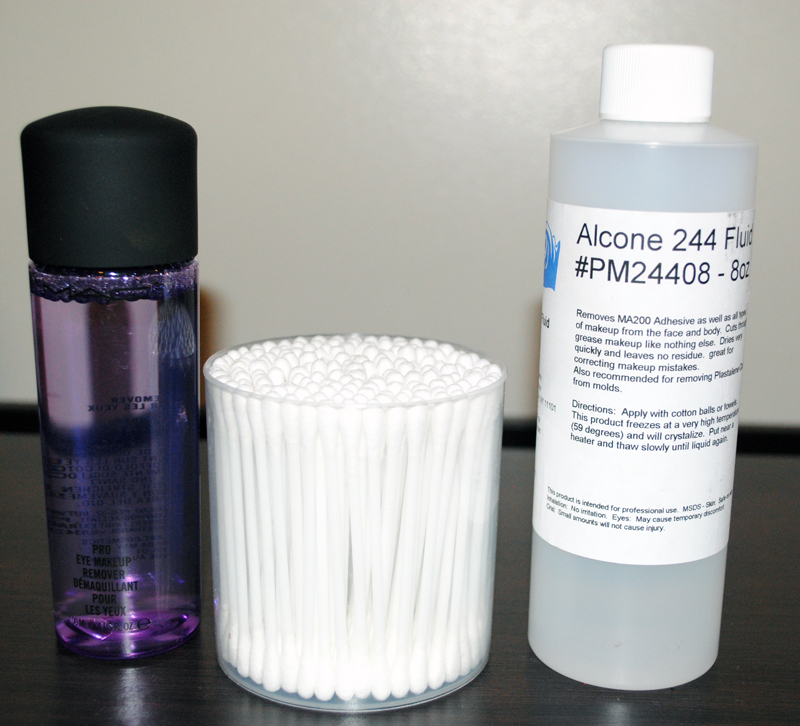 Mac Pro Eye Makeup Remover or Alcone 244 Fluid? I have long been a fan of using the Alcone 244 fluid as a makeup remover, ever since my makeup artist friend, Mann Nance [HERE] and [HERE] introduced me to it. One of the makeup removers that I see a lot of other makeup artists using on set is the MAC Pro Eye Makeup Remover, so naturally my curiosity was piqued! 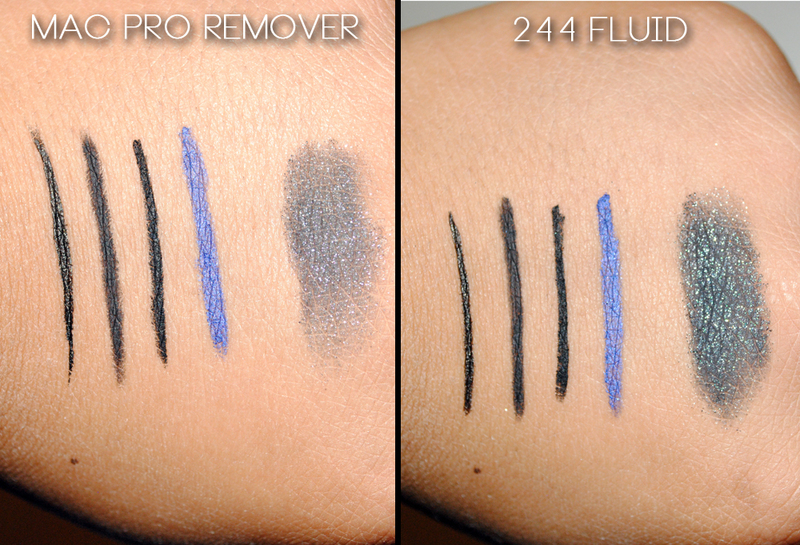 I recently had a chance to cash-in some editorial gratis that I had accumulated from MAC, and decided to try out the MAC Pro Eye Makeup Remover to see how it compares to the Alcone 244 Fluid. [INTERACTIVE PICTURE. CLICK THE DOTS] The eye makeup selections. I started by wiping all of the oils and residue off my hand with alcohol. Just to create an even playing-field. [INTERACTIVE PICTURE. CLICK THE DOTS] Clean surface. Then I placed the products on in heavy swatches. [INTERACTIVE PICTURE. 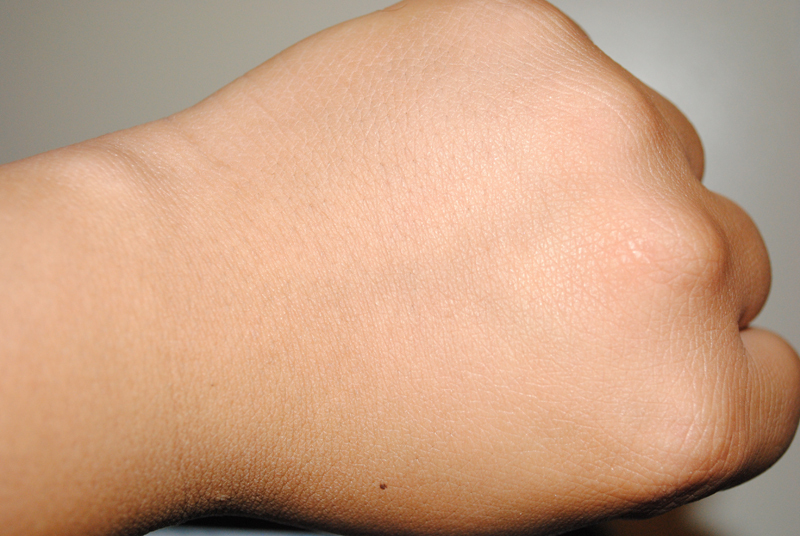 CLICK THE DOTS] Initial swatches. To provide a control in the experiment, my method was to dip the tip of the cotton bud in the remover for two seconds, then pass the bud across each swatch only one time. Let’s see how the experiment went! After 1 swipe of remover. After the second swipe of remover. After the third swipe of remover. 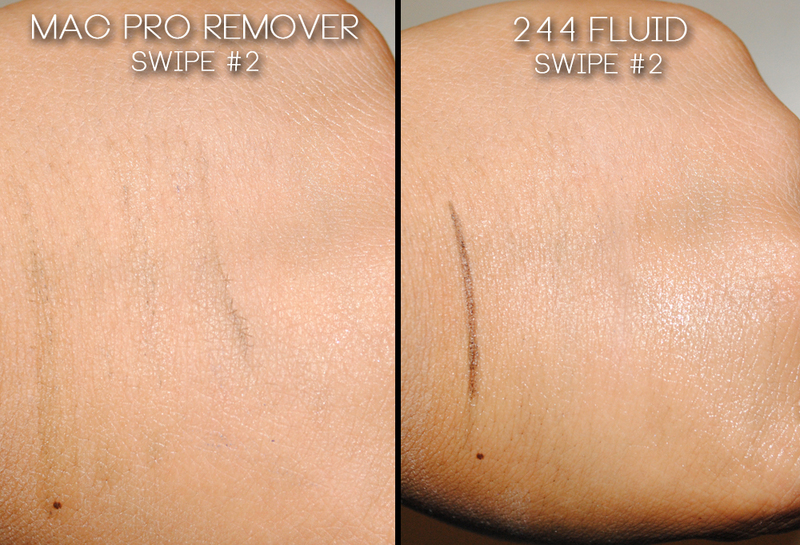 Overall, the Alcone 244 Fluid is the better eye makeup remover in terms of removing power. 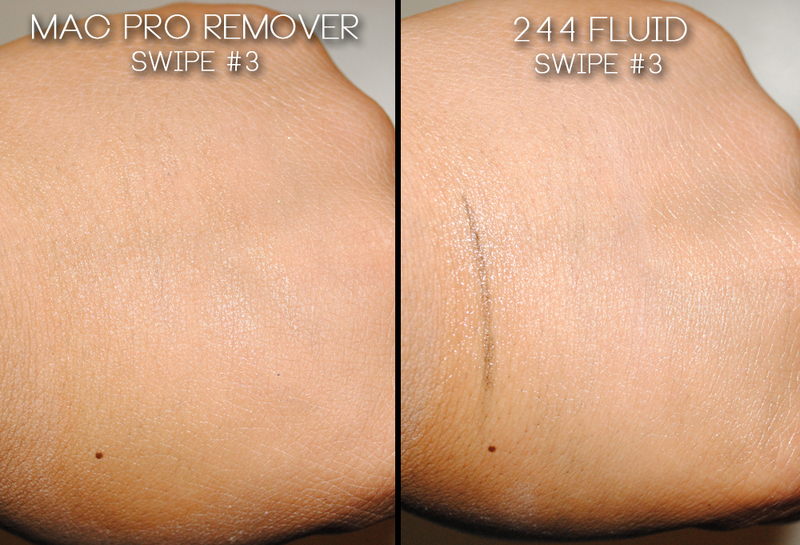 It removed 80% of the makeup in the first swipe, as opposed to the MAC Pro Eye Makeup Remover, which took several more swipes to remove the swatches. But it has a weakness. Where the Alcone 244 Fluid fell flat, was in removing the liquid liner. 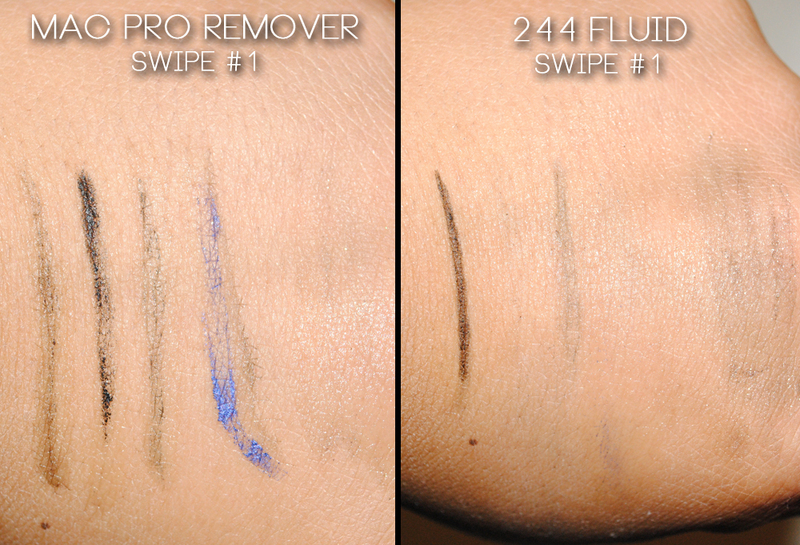 It is important to note that BOTH cleaners had trouble removing the liquid liner pen (which is why I love it so much), but the MAC Pro Eye Makeup Remover was able to completely remove it in three swipes, while the Alcone 244 Fluid struggled, and ultimately, still left behind a great deal of the swatch. 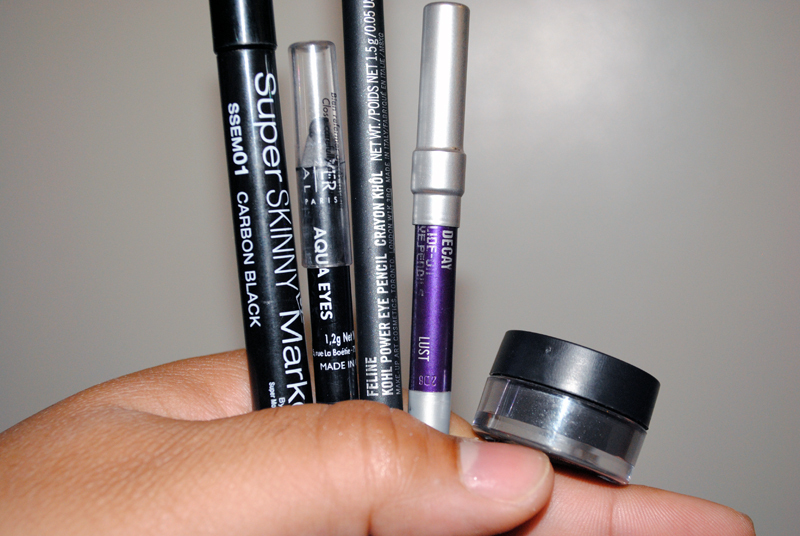 It ultimately took me using the MAC Pro Eye Makeup Remover to take off the remaining swatch of liquid liner. The 244 Fluid just could not do it (even after 7 swipes). This is a tough call. I can’t say which is better. I guess you all will just have to try them both for yourself!